Wake up and dream: It's time to embrace evolutionary cooperativeness! It's time to embrace evolutionary cooperativeness! "There is simply nothing in our cultural history that adequately prepares us for the evolutionary challenges we now face, challenges that will demand more robust and sophisticated answers to the question of how human beings are actually related to the natural world out of which we have emerged." "Given these unprecedented realities, I think we can say that the bar has been raised when it comes to cooperation. We are facing a moral, spiritual, and interpersonal challenge that test and transcend everything evolution has ever learned about how to make a community - large or small; bacterial, mammalian, or human - work. Our success, and even our survival may depend on how we are able to walk the delicate line between cooperation and self-interest as the cycle of evolution takes a new turn, embracing the extraordinary interconnected diversity of our global community." 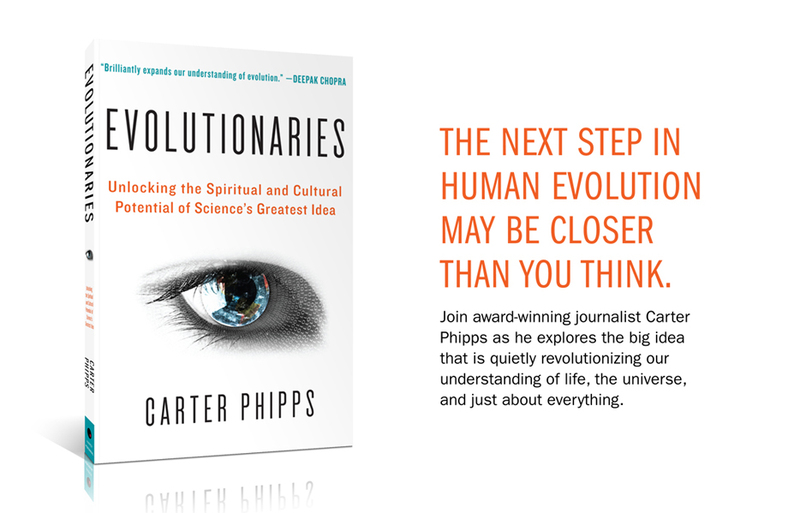 from Carter Phipps's book "Evolutionaries"